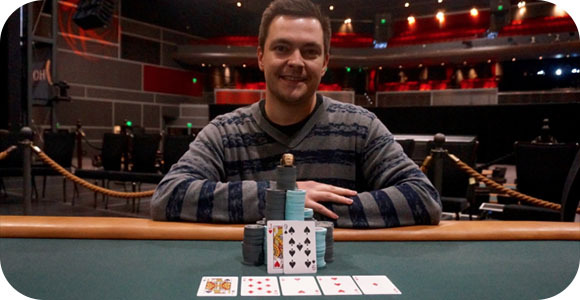 The winner has been crowned at the 2015 World Series of Poker Circuit Hammond $1,675 Main Event, as Krzysztof Stybaniewicz walks away with the victory, a gold ring, and a total prize of $356,043; the biggest cash prize he has had in his career. Stybaniewicz started his professional career in 2011, after graduating from college, and has seen a few cash winnings throughout his short career, but none as big as this. He had four cashes at the 2015 WSOP in Las Vegas totaling $18,018 and a $3,150 result from a side event at the 2015 Seminole Hard Rock Poker Open, and now he has added a big number to his total winnings. He now has $535,586 in total live earnings, and it looks like he is ready for the next stage in competition. Stybaniewicz, with his Pair of Jacks, managed to beat Kuether and his pocket Tens, after the board gave him the much needed Jack on the Flop, with the Turn and River offering no help to either. It was a tough match for Stybaniewicz, seeing as how Kuether has the experience of winning big hands in his career. We look forward to what else this poker pro has to offer after he has tasted his first big, 6-figure, victory.